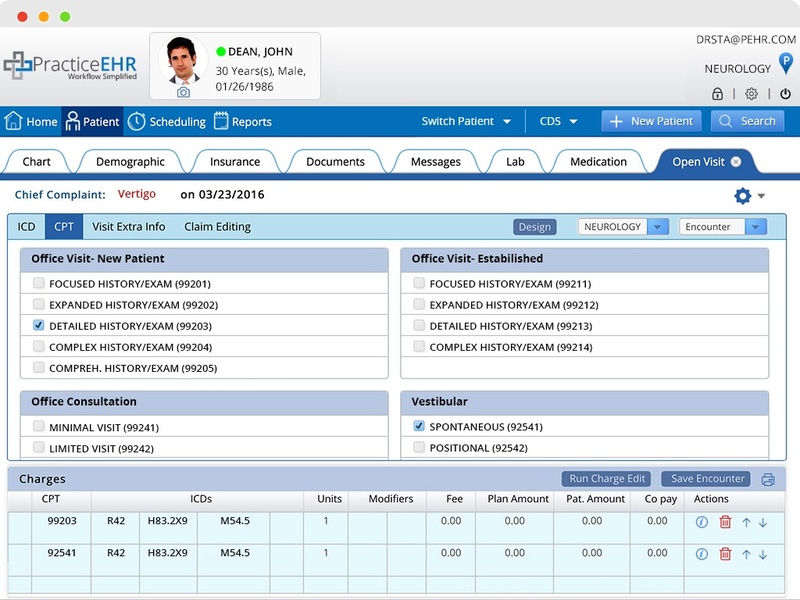 Practice EHR creates ICD-10 ready superbill from patient charts. The claims can be auto-submitted from the fully integrated practice management for in-house billing or you can also 3rd party billing company. Quick and easy ICD-10 lookup. Most commonly used procedures and diagnosis codes are readily available. With a click of a button the encounter is ready for the biller.